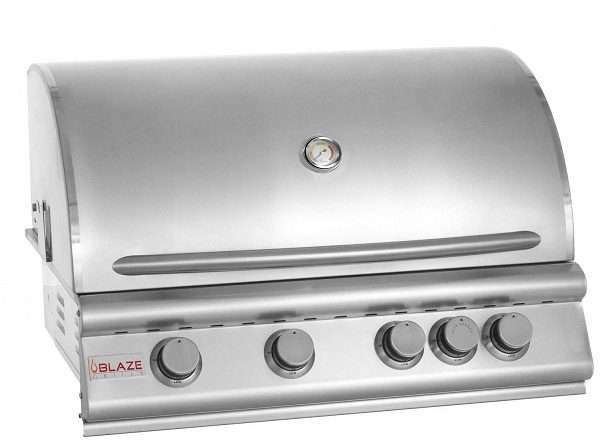 The Blaze Grills is a brand owned by Shopperschoice.com which is the largest online retailer in the outdoor cooking industry. 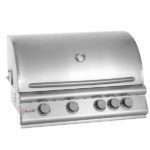 This grill, like many similar products, is made by Charter Enterprises in China. The basic structure is almost identical across all these different brands. What separates them is how they are configured and what features they include. 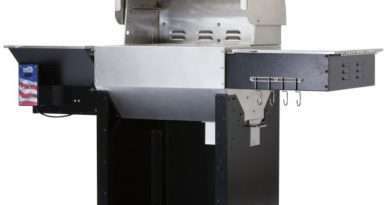 Blaze is characterized by cast stainless steel burners, a unique backup ignition system, and standard rotisserie burner on the 4 and 5 burner models (though the rotisserie kit costs extra). This grill has a good selection of standard features. The main components of this grill are good quality. In fact, the flame tamers are among the thickest and heaviest on any grill. They help to even the heat and are engineered to last longer than those on many comparable units. Add the cast stainless steel burners and the interior components can be relied upon to last for many years. The exterior body parts of this model are 304 stainless steel and should retain their appearance for many years. Like other Charter made grills, some components are 443 stainless. This is a low nickel (hence less expensive), high chromium steel alloy. It has the durability and attractiveness of 304 stainless steel but at a more reasonable price. 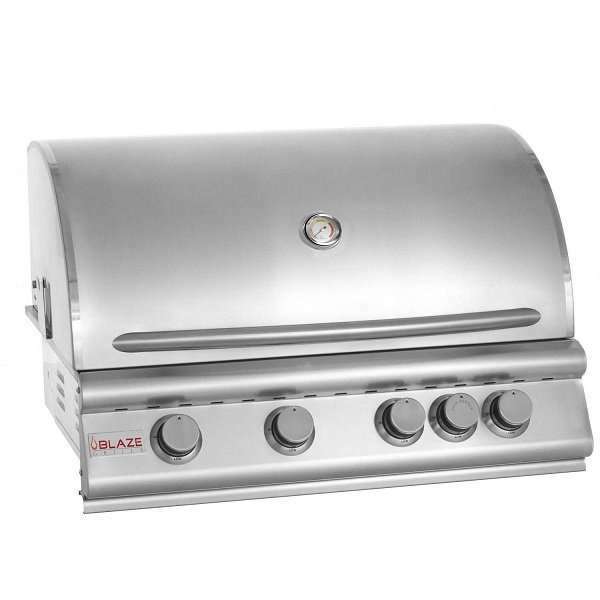 It is partly because of this that the price for the Blaze 32-Inch comes in well below comparable stainless steel grills. A lot of attention has been given to detail with this grill. There is a unique backup ignition system which is very useful. 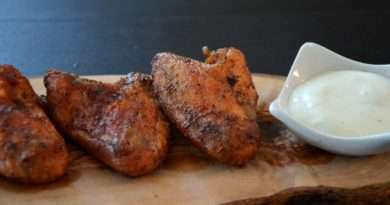 The legal code requires that all gas grills have an alternative method for lighting the burners that do not require a person to reach inside with a lighter. Typically this is a long metal wire that dangles on a chain under the grill. 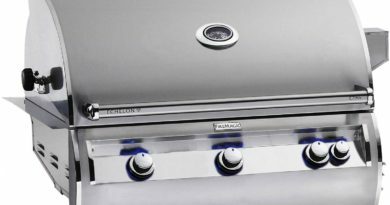 Blaze grills have a metal tube in the right front corner that draws air towards the burner. Holding a flame over the opening of this tube while turning on the burner causes the flame to be pulled down, lighting the burner. Aside from these excellent features, this grill has a tendency to let rainwater into the body of the unit, filling the drip pan. This makes for a messy proposition sometimes and can be an annoyance, though certainly not a major one. The heat, while very high, can be uneven front to back and around the side edges. This is a problem that many gas grills have and an experienced griller will know how to deal with it. Also, while I know that hood mounted thermometers are never an accurate measure of the actual cooking it is a good guide. The thermometer on this grill only reads a general "low, medium, high" sort of setting, so it isn't much help. This grill is part of a wide range of accessories, cabinet options, and side burner units that will fully equip an outdoor kitchen.